We were up and out early this morning to make our way toward Two Rivers Landing RV Resort in Sevierville, Tennessee. 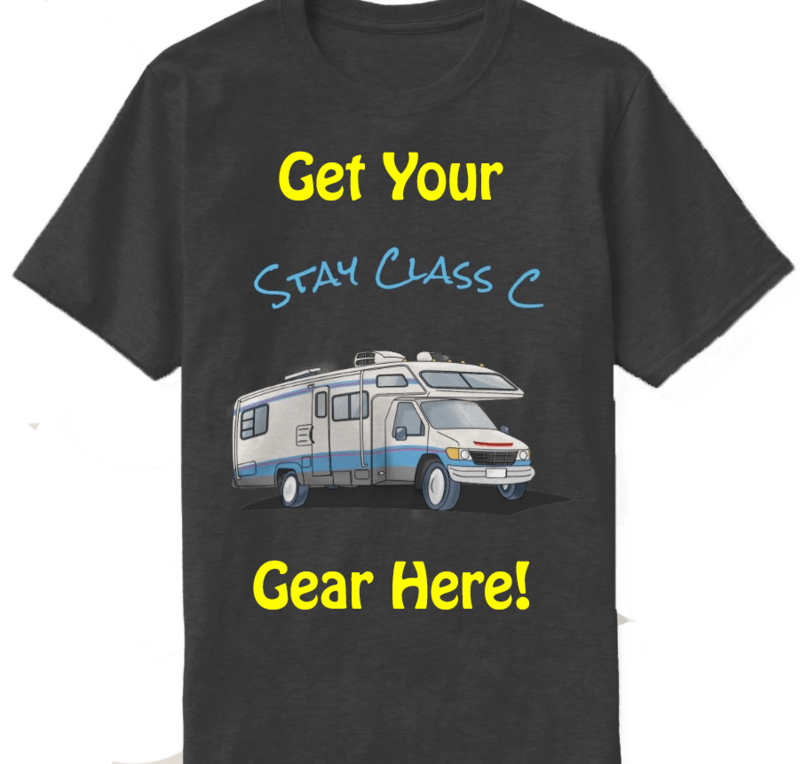 Two Rivers is one of a few big RV parks in the area but we chose them because they offered a shuttle service to Downtown Nashville. Checking-in was a breeze and we received a 10% Good Sam discount! Unlike the other shuttle services we’ve used on this trip, you need to call ahead for a pick-up. The shuttle arrived quickly and dropped us off directly in front of the Country Music Hall of Fame, which is exactly where we wanted to begin. There are a few different tour options and we chose the one that included an audio tour and RCA Studio B. We decided to start with the Studio B tour and waited a short time for the shuttle, which picks you up in front of the Country Music Hall of Fame. 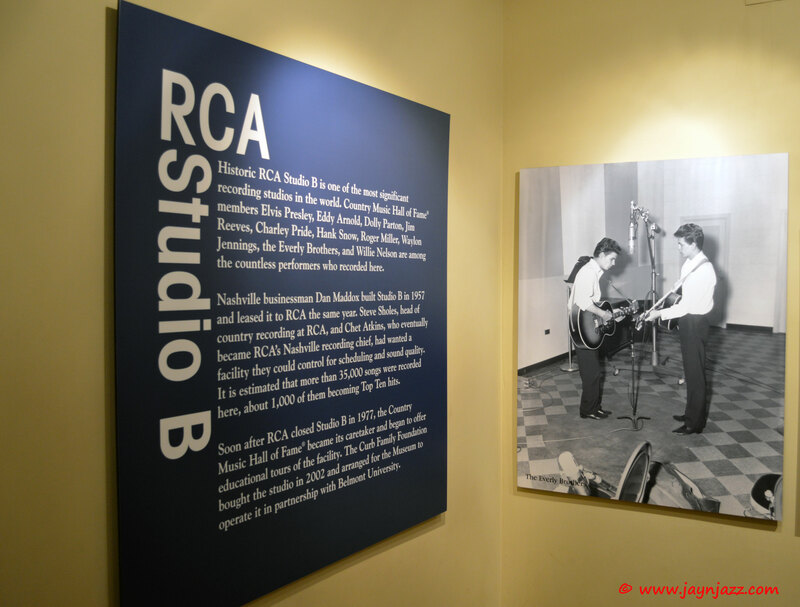 RCA Studio B is probably the most famous recording studio in the world, having recorded over 1,000 American hits. Of course, it was also who Sam Phillips sold Elvis Presley’s recording contract to for a mere $35,000. The tour guide was very pleasant and shared interesting stories about Roy Orbison and Charlie Pride. We then saw the famous, acoustically superior recording room. The guide told a cool story about Elvis’ recording session for “Are You Lonesome Tonight” and then we listened to part of the song in the dark…very cool! The Studio B shuttle picked us up as soon as we exited the tour and in a short time, we were back at the CM Hall of Fame. Since it was getting late, we decided to walk to the historic Ryman Theater, the original home of the Grand Ole Opry. The price of the self-guided tour is $20 per person but if you’re a country music fan, the auditorium will leave you in awe. We watched a short, very cool movie about the history of the Ryman and then we were free to walk around inside. There are tons of displays showcasing country music artifacts and you can have your picture taken professionally on stage for a small fee. In case you didn’t know, Jay is a big country music fan so this was a real treat for the both of us. We soaked up as much as we could and then we bolted back to the CM Hall of Fame for our final tour. By the time we got there, we had less than an hour to check out two floors of the museum! Notable exhibits were “Flying Saucers Rock And Roll: The Cosmic Genius of Sam Phillips” and the Nashville Cats exhibit with Johnny Cash and Bob Dylan. After a busy day of touring, we were now ready to see what we really came for. Broadway Street, the hub of all live music in Nashville! There are so many cool music venues here, it’s difficult to choose one. So, we just walked up and down, stopping at every other place, picking up a few doodads along the way. We had a drink at a place called Whiskey Bent where the band, who’s name I regretfully didn’t get, was awesome. We picked up the last shuttle back to the campground and are about to crash. Nashville was amazing but tomorrow, we are on to the next adventure. Stay tuned to see where!